This is a line that connects average prices over a long period of time. This line helps you gain an insight into the market’s price fluctuation trends. You can then compare real price movements with the moving average, and speculate fluctuations in foreign currency exchange rates accordingly. 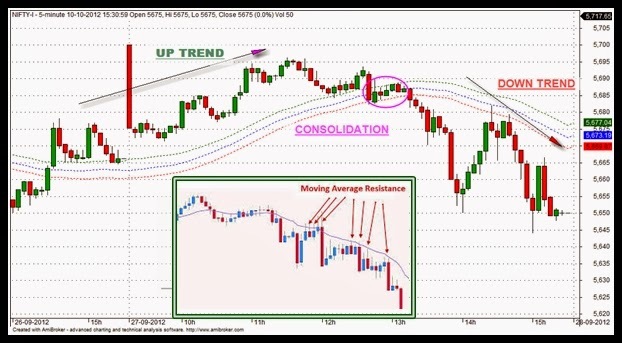 When the price moves up and crosses the moving average line, it simply means that the market is gaining momentum, and this might be a good time for you to trade. Here are two very good examples that will help you understand what trendline trading is all about. The first example illustrates trendline resistance and the second chart shows trendline support.